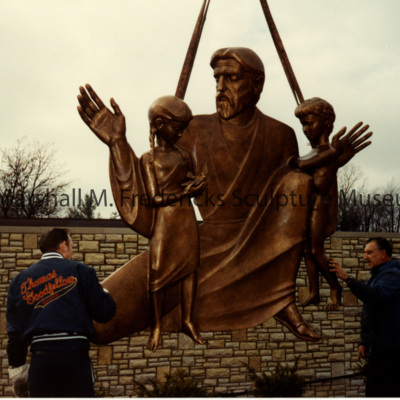 "Christ and the Children" located at St. Hugo of the Hills Catholic Church in Bloomfield Hills, Michigan. 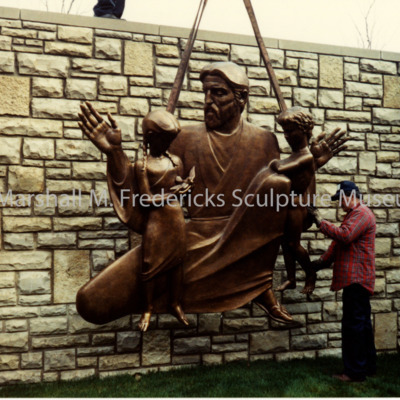 Six foot aluminum relief originally commissioned for St. John's Lutheran Church, Fort Wayne, Indiana. 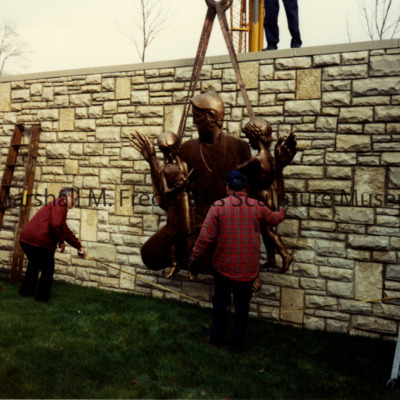 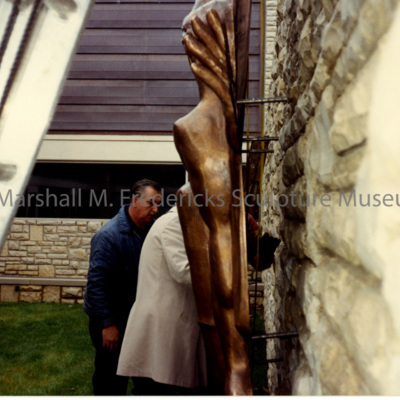 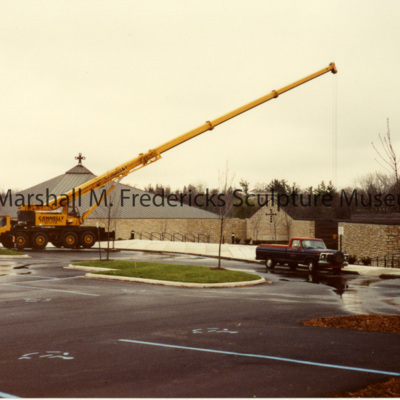 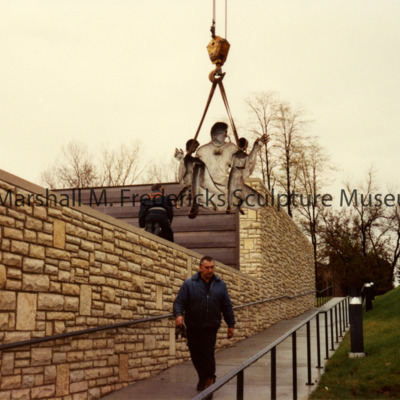 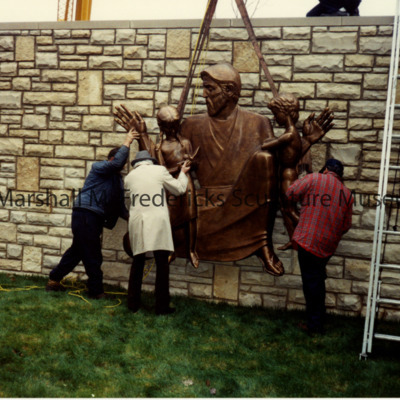 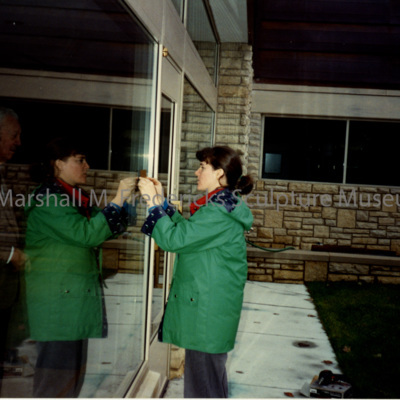 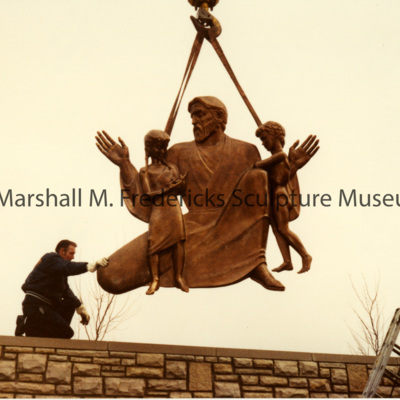 Crane used to move full-scale bronze casting of "Christ and the Children"